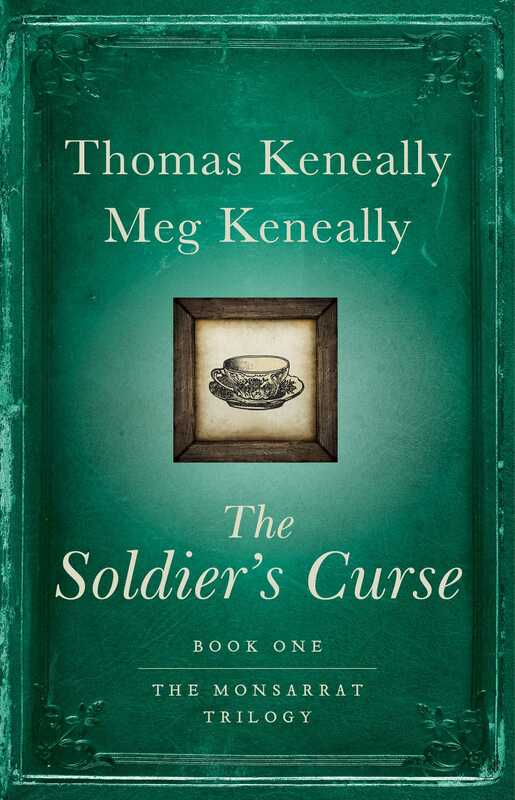 From the “greatest living practitioner of historical fiction” (Christian Science Monitor) Thomas Keneally and his eldest daughter Meg Keneally comes the first novel in a fast-paced, gripping, and witty historical crime series. In the Port Macquarie penal settlement for second offenders, Hugh Monsarrat hungers for freedom. Originally imprisoned for forging documents to pass himself off as a lawyer, he is now the trusted clerk of the settlement’s commandant. His position has certain advantages, including access to the Government House kitchen and outstanding cups of tea from housekeeper Hannah Mulrooney, who is his most intelligent companion. But things change when the commandant heads off on assignment and his beautiful wife, Honora, suddenly falls ill. Only when she dies does it becomes clear she has been slowly poisoned. Monsarrat and Mrs. Mulrooney suspect the commandant’s right hand man, Captain Diamond, a cruel man who shared an intimate history with Honora. But when Diamond has Mrs. Mulrooney arrested for the murder, Monsarrat must find the real killer in order to exonerate this innocent woman and his good friend in this thrilling and whip-smart mystery. For someone whose cold hands were wrapped around a cup of excellent tea, Hugh Llewellyn Monsarrat was miserable. It wasn’t the tea’s fault. As it was for all the fallen, the liquid was one of his chief consolations. But he could calculate the number of cups he had drunk in servitude not as a gesture of geniality but with a hunger of loss, with his criminality settled on his shoulders. Every colonial child could tell the difference between him and, say, Doctor Gonville, as if the sentence of the court had entered the seams of the face, the fibre of fabric. ‘And it will put me out of mine for a short while longer, I thank you,’ said Monsarrat. The tea’s maker smiled. For an English gentleman, Mrs Mulrooney felt, Mr Monsarrat was a decent fellow. Mrs Mulrooney was generally quick to see decency. While not tolerating any nonsense (and she was the chief arbiter of the behaviour that fell into that category), she rarely took serious umbrage at people. She directed her annoyance instead to objects which refused to do as they ought. She had not discussed much of her history with Monsarrat – not here, where history could be painful and in any case had all the practical relevance of a fairytale – and he had not presumed to ask. But he knew she was a Wexford woman, ticketed and free-standing now. It didn’t surprise him – that trick of misdirected anger, abusing inanimate objects which could not put you on bread and water or lengthen your sentence, was typical of the more successful felons, the ones the system did not kill. Mrs Mulrooney muttered darkly when a tendril of peppery hair had the temerity to escape the confines of her white cloth cap, and glared at the kettle when it committed the sin of boiling over. The object of her ire at present was the breadknife, which she was using to slice a fresh loaf as part of Mrs Shelborne’s futile breakfast. It was letting her down by failing to be sharp enough. ‘Would you ever be kind enough to sharpen this cursed thing for me?’ she asked Monsarrat. He watched her as she flitted around the room, a finch of a woman in an immaculate white pinafore over discreetly patched black skirts, small and quick with an unexpected wiry strength when called on to heave a log into the grate. The lines evident on other women her age seemed reluctant to settle on her own face in any great number. She picked up a skillet, examined it to determine whether it was guilty of any crime, and set it to the purpose of cooking the breakfast eggs for Mrs Shelborne, who would not eat them. This was true. The physical pall of bloodwood smoke hung above her head, denied an exit by the windows closed against the winter, and a nest recently constructed in the chimney by some industrious but unwise birds. Smoke stains were crawling up the distempered brick walls towards the whitewashed ceiling. They would no doubt be admonished and scrubbed away by Mrs Mulrooney in due course. The smoke wove in and out of an invisible miasma of anxiety, which betrayed itself in the clench of Mrs Mulrooney’s jaw. It was, as far as she was concerned, well beyond nonsense – that her mistress, a young and lively woman, should so quickly have become a prisoner in her own body, stricken by an unknown affliction which had the surgeon puzzled. She’s right, of course, thought Monsarrat. The atmosphere is thick enough without my adding to it. He appreciated, too, her habit of disguising sharpness by delivering any criticisms she felt necessary as simple statements of fact – another prison trick learned by the fortunate. In fact, Mrs Mulrooney had more patience for Monsarrat than for many – most – others she shared the small settlement with. 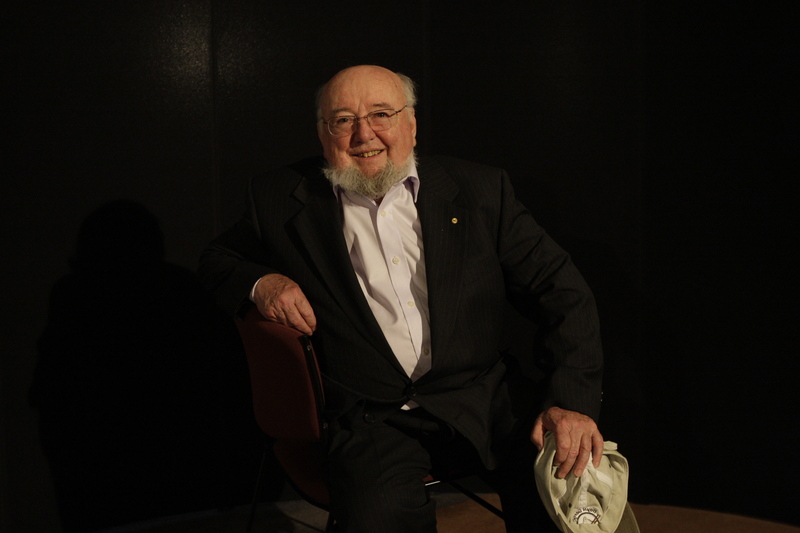 When he had joined the settlement two years ago, as a convict clerk to Port Macquarie Commandant Major Angus Shelborne, she’d felt pity for a gentleman like him brought low, the pity combined with an Irish delight in finding any gentleman debased. Now, in her, both pity and delight had given way to warmth for a soul who still seemed interested in the lives of others, despite the privations and injustices of his own. He had also proved entertaining company, and didn’t see her lack of letters as an impediment to their friendship. She was gratified that to be her familiar he had crossed the line between the readers who ran the world, and those who could not read and were the earth’s beasts of burden, and found a friend in her. For Monsarrat’s part, one of his pleasures was to be able to come across the frost on early mornings like this and into the mothering kitchen, for tea and conversation with someone he suspected had more natural intelligence than him. As a ‘Special’ – a convict with skills which equipped him for more than hauling timber and breaking rocks – he was tacitly allowed certain indulgences such as visiting the kitchen, as long as he didn’t make them too visible. But now, in the second winter of his friendship with Mrs Mulrooney, the path to the kitchen was well worn, together with the path between his small hut and Major Shelborne’s office, in an outbuilding beside Government House. Coming and going, Monsarrat was aware of time’s passage and was unhappy with the lack of movement in his life. He knew that His Majesty’s Government intended this; that the real punishment wasn’t removal from all that was familiar, but the sense of being caught in a sad timelessness, knowing that nothing was happening, or would or could happen, to interrupt the lethal, even pace of his apparently static, endless penal situation. ‘You do have a lovely hand,’ said Mrs Mulrooney, who could tell aesthetically satisfying handwriting when she saw it, despite being unable to decipher its meaning. ‘You can make yourself useful for now by taking that kettle off,’ she said, pointing to it dangling on its accustomed hook below the stove, flirting with the fire. Monsarrat fetched a cloth and did as he was told. He moved deliberately, unwilling to risk a stain to his pearl-coloured waistcoat. It was one of two he owned, remnants from his interlude of freedom between penal stretches, which he’d been allowed to keep so as to cut an appropriately administrative, gentlemanly figure. Both waistcoats meant more to him than they should, and were meticulously maintained, even now when their fabric was wearing thin. ‘Perhaps I should have asked to go on the expedition with the commandant,’ he said. Major Shelborne had left, very recently, in search of a river, on a rumour from an absconded convict. A man who had evaded punishment by fleeing to the bush had sent a hint of new-found pasturage to the commandant and the commandant had ridden forth, and might give the fellow a reward if the reported valley actually revealed itself. This was what had soured the dutiful Monsarrat. The commandant’s departure had immediately preceded the illness of his young wife, who had since progressed with alarming speed from vomiting to coughing to convulsions. ‘Well, I shall pass the time by assisting you,’ said Monsarrat. A small brass bell near the kitchen door began to move languidly, its clapper barely grazing its sides. Even Mrs Mulrooney knew this wasn’t the bell’s fault. She would have liked to be able to blame it on the object but knew its engine, young Honora Shelborne, was losing strength. Between the kitchen and the back of Government House lay a paved courtyard, to ensure that if the kitchen burned, the house would not. The residence was surrounded on three sides by broad verandahs with sloping roofs. There was a dining room and sitting room at the front with two large bedrooms directly behind them, and wings with smaller rooms extending backwards; the kitchen sat between these arms, like a ball in a cup. But the kitchen was connected to the house by a wire, which enabled Mrs Shelborne to pull a little lever to get Mrs Mulrooney’s attention. The bell’s peal was getting less vehement with each passing day. Mrs Mulrooney quickly assembled the breakfast and the pot of tea to take to Mrs Shelborne in her bedroom at the front of the house. Monsarrat knew that Mrs Shelborne lacked appetite and was more likely to ask Mrs Mulrooney to pass her a bowl to be sick in. He opened the door closer to the house to let Mrs Mulrooney through with the tray. There was not room for her and the tray side-on, so she had to edge the tray through first to get out into that yard between the kitchen and the house. He dashed ahead and opened the residence door which led into the dimness of the house. ‘It may yet be mercifully restored,’ said Monsarrat. He knew of Mrs Mulrooney’s affection for her employer, and wanted to offer what comfort he could. ‘Look after the kitchen for me, mind that the fire behaves,’ Mrs Mulrooney said as she stepped into the dark house. The source of the river sought by Major Shelborne was unknown, but the source of its rumour was an absconded convict called Kiernan. The penal settlement with its fifteen hundred convicts – all second offenders, who had confirmed the courts’ wisdom in removing them from British and Irish society in the first place by now having committed colonial crimes – and the personnel required to keep them both productive and imprisoned was an oddly claustrophobic place for a town on a barely known rim of the world. Claustrophobic, because although it looked vast by some lights, it was hemmed in by three brooding mountains, an unpredictable river, and a sea whose mood, rarely tranquil, seemed to range from tetchy to irate. These geographic limitations had the advantage, though, of serving as natural gaolers – at least that had been the intention when the penal settlement was founded four years previously by the man it was named after. Governor Macquarie saw a lot of potential in the river, timber and soil of the place, resources which could be exploited by a bonded workforce, who would be kept at their stations by the isolation from the seat of power in Sydney and by an intractable hinterland. There were always absconders who decided to take to the Tasman Sea. The previous year, eight convicts had stolen the schooner Isabella. As they slid past the beaches and the cruel volcanic outcrops, the major had raced up to the signal station, which was also home to two cannon. The balls, though, had not found the ship, instead falling harmlessly into the ocean. The soldiers who had fired had been nervous, and not least about their commander’s response – eight convicts and a ship was a loss that would need some explaining. But he had assured them they had done their best. As for those who had disappeared on the Isabella, escape by ocean was far from a safe option, when recurrent southerly storms gave prisoners a regular demonstration of just how rough and wild the coast of New South Wales could be. Monsarrat, who had fractured dreams of escape almost every night, would look out onto the broken, riotous sea and pity anyone anywhere near, in or on it. It was less lethal to abscond into the bush. But success often depended on the escapee’s resemblance to deceased relatives of the Birpai, the tribe of well-formed men and women who had probably been on this land since before Britain could lay claim to being anything close to a civilisation. Simon Spring, the young Scottish assistant commissary-general who managed the stores, said that the Birpai believed that all whites were ghosts of some tribe or other, and the ones they could not identify were best returned to the settlement. But occasionally the natives would see an escapee plunging through the bush towards them in whose features and markings they recognised a relative or friend returned from the dead. Often a missing tooth helped, as the natives cut out one of the front teeth with stone chisels at the time when young men were initiated. But other escapees were quickly rounded up and returned by the bush constables, the name used by the soldiers for native men who helped in this way, and who were rewarded with rum and slop clothes, the rough canvas clothing worn by road gangs and convict labourers. Monsarrat sometimes wondered why the Birpai were so obliging, especially for so little reward. They had, after all, been here first and presumably had not invited a band of criminals and soldiers into their home. When Kiernan escaped, they had obviously seen a dead relative returned in his features; he was also helped by his lack of front teeth. No one was better equipped to avail himself of such good fortune: Kiernan had travelled with a number of expeditions in the colony’s south. The loss of the Isabella still stinging, Major Shelborne had spent a lot of effort scouring the wooded foothills and penetrating the deep gullies of the mountains, looking for him amongst tree ferns larger than a house, grass trees, scribbly gum and huge verticals of eucalyptus trees. But it was impossible. Kiernan had been a particularly troublesome convict, those who had seen him before his escape said. He kept a lurking violence in check most of the time, but unleashed it freely when provoked. On one occasion he had been hit with a stick when making a johnnycake out of meal for his supper at the convict barracks, using an ancient frying pan to cook over the fire. The frying pan was, after years of intemperate use, part sieve, but it was the only weapon he had to hand, so he used it on his assailant’s head, breaking the pan rather than the skull, so the other man ended up wearing the pan around his neck, with a secondary necklace of welts quickly springing up. For that, Kiernan got a few dozen lashes on a back which was already scored from at least one other past punishment. But the fresh cuts in his back seemed to galvanise Kiernan in a way his previous flogging had not. Kiernan had grown up with a code of conduct as strict as any army’s, and more brutally enforced. The code of the street said you had a right to strike someone who struck you, and whoever started it was the greater sinner. So when he was not only punished for defending himself, but given the same number of lashes as his attacker, he came to the conclusion that he could not live within such a ridiculous system of right and wrong. This was Monsarrat’s assumption, anyhow, for Kiernan had absconded shortly afterwards. Out of a kind of envy, the other convicts felt rancour towards Kiernan, and a desire to see him caught and flogged again, and sentenced to working in chains or on the lime-burners’ gang. But the garrison and the guards had never caught him. Nevertheless, all contact with Kiernan had not been lost. Slowly a system had developed by which Kiernan would send messages via one of the handsome and athletic young Birpai men that this or that absconder was hiding in a particular area. Kiernan was protective of his woods and did not want too many other convicts to find a home there. He would also communicate the feelings and attitudes of the Birpai, and these messages went largely ignored, centring as they did on concerns about cedar-cutters tramping through sites of great sanctity and significance to the tribe. Now, though, Kiernan had sent a message that in his travels with the natives far to the north-west beyond the coastal range, he had found another river valley with what he said were wonderful flood plains and pasture land, and forests full of cedar. In return for this important intelligence, Kiernan sought a conditional pardon. It was to meet Kiernan at a particular point and visit this river himself that Major Angus Shelborne had started out several days before, led by a local coastal Birpai named Scotty. With the major were Lieutenant Freddy Craddock and six mounted and armed soldiers of the 3rd Regiment, the Buffs as they were called, thanks to the buff facings on their bright red coats. Also travelling with him were a local ex-convict with some navigational ability and three or four reliable convicts, one of them a cook. It had not been said explicitly, but they all hoped that if they found the river and Major Shelborne came back home happy, he would recommend them to the Colonial Secretary for a reduction of their sentences or even a ticket of leave. A ticket of leave would complete the transformation that their arrival in the colony had begun – at home, on their release, they would have remained condemned, their former felonry a barrier to any decent life. But the opprobrium which rang so loudly at home was more muted here. It tinged the edges of the frame, but did not blot the painting, and its absence created a space in which emancipated convicts could do very well indeed. Monsarrat knew that, ticketed or not, there were still many traps in a man’s way, and many watchers who, out of pure darkness of soul, would love to find a flaw for which a man could be sent back into servitude. Yet he, like those convicts in Major Shelborne’s party, desired a ticket so keenly that he would have abandoned the comfortable kitchen and taken to the bush had he thought it would do any good. Monsarrat considered making himself a second cup of tea, but knew Mrs Mulrooney would view this as presumptuous. Instead he opened the drawer of a sideboard – one of the few polished surfaces in the room, as it housed the good china – and extracted a whetstone. He sat at a table less substantial than it had been some years ago, thanks to regular and vigorous scrubbing, a penance imposed on it by Mrs Mulrooney, and he started work on her recalcitrant knife. Just as he had made the edge keen enough to please her, a hammering struck up on the outer door. ‘Yes!’ called Monsarrat in weary permission. The door opened flat against the wall, its leather hinges complaining. In stepped smiling Private Fergal Slattery, Mrs Mulrooney’s pet soldier. His red and buff coat, his plumed hat, rested in the genteel barracks; today he was dressed for work rather than show, in canvas pants, shoes he had woven from straw, and a sheepskin coat over a red shirt. ‘God bless all here,’ he muttered, as his mother had raised him to say. He closed the door and made sure it was properly in its frame. Then he blew on his hands to warm them and ran one of them through his brown hair. His eyes twinkled as if some fun were about to arise – but it was a futile expectation here. ‘Oh, it’s the gentleman fookin’ convict himself,’ he said, twinkling away. ‘And it’s the worst soldier in His Majesty’s whole damned army,’ said Monsarrat. It was an established banter of theirs. Monsarrat would not have taken quietly such a statement from any other private soldier without making a complaint to the commandant. The man was at least ten years younger than him to start with. But there was something endearing about young Slattery. He never moaned, as some of them did, about how poverty had sent them into the army and now they were no better off themselves than convicts, or how drunkenness had made them take the shilling on a dare at some country fair. The truly amusing aspect of Slattery was the way he recounted serious events, wide-eyed and with unconscious humour. With Mrs Mulrooney he traded the sort of genial whimsical insults at which – Monsarrat had noticed – the Irish were so good. It was the way they expressed affection. ‘And how is our Magpie today?’ said Slattery, lowering himself into a chair which had never known fine upholstery and brocade, unlike its counterparts in the neighbouring building. Even humble Slattery had the right to sit while Monsarrat stood – Monsarrat might be one of the more trusted and well-treated convicts, but was still beneath all those who were free. Slattery wasn’t the only one to call Monsarrat ‘the Magpie’. He owed the name to the threadbare but expertly tailored black coat he customarily wore over one of his waistcoats, to his elongated nose, and to his habit of walking with both hands clasped behind his back. Monsarrat wasn’t sure whether offence was intended by those who used the name, but he took none. Magpies were silent watchers, always present but rarely noticed, offering violence only when something precious was threatened. ‘The Magpie is as well as he was yesterday, and thanks you for your concern,’ he said. ‘And you’ll be overseeing the men in the sitting room?’ asked Monsarrat. ‘Oh, I will,’ said Slattery, nodding. ‘If they know where their true interests are, they should be here in a second. For I am a demon for discipline.’ He winked and laughed and Monsarrat shook his head in mock reproach. Some wallpaper from England had arrived by way of the Sally, ordered by Mrs Shelborne when she’d been in better health. It had waited in the storehouse until a party of convict labourers had been put together to plaster the bricks of the sitting room and make all smooth. They would normally have laboured under one of the convict overseers, but in this case Private Slattery had been chosen because he had claimed to the major’s second-in-command, the brooding Captain Diamond, that he had once worked as a plasterer and hung paper in a house in Ireland. Mrs Mulrooney behaved as if this was a deception, though her attitude to him was so indulgent that it was evident she did not blame him for the lie. Overseeing plastering and papering was an easy job. Slattery would sit in the kitchen with Mrs Mulrooney, chatting and drinking tea, and occasionally walk in to make sure that the four convicts were doing the job properly. The four men seemed to work in good order – so Mrs Mulrooney had told Monsarrat – under a pressed-tin ceiling designed to stop the big huntsman spiders, harmless as they were, climbing down to infest the floor. The plaster the men had put up was now cured and they were onto hanging the paper, a pattern in keeping with Mrs Shelborne’s taste for green. Monsarrat had seen this wonderful paper, brought to a settlement devoid until now of such things: vibrant green with bosky white flowers that seemed to grow out of it. There were few shades of such rich colour in the bush, the swamps, the dense forests and the gullies running down the high coastal mountains, and it made Monsarrat think Mrs Shelborne was homesick. She likes green because she comes from green pastures, he thought, and full-bodied flowers because the summer gardens of her childhood were riotous with them. Mrs Mulrooney, her ministrations to Mrs Shelborne at an end for now, re-entered through the kitchen door on the house side. ‘It’s that Slattery, sitting when he should be standing. How they ever get him upright for parade escapes me entirely,’ she said. ‘Surely enough they need to include you in that, and smile on dear Mrs Shelborne too,’ said Mrs Mulrooney. ‘Dear Mrs Shelborne, with all her family’s money, has no need of saints and their grace,’ said Slattery. ‘You’re an awful one for grudges against the rich, especially as a lad who spends his evenings taking money from others across a card table,’ said Mrs Mulrooney, making her way to the large teapot on the hob. She got a cup from one of the low wooden shelves beside the stove – the Shelbornes’ used china – and rearranged its shelf-mates before pouring black tea for the soldier and refilling Monsarrat’s cup. Now there was another knocking on the outside door. Private Slattery rose and opened it to admit the convict labourers, their flat hats on their heads, and their rough canvas clothes painted with broad arrows which indicated their felonious status. For only she had the authority. She opened the house-facing door and they trooped through the kitchen past Monsarrat, nodding to him because he had a little margin of power compared to them, being the major’s clerk, and so they went out the door and into the house to work. When Mrs Mulrooney came back, Monsarrat stood. ‘I must go to the office,’ he told her, as if he was some respectable banker or clerk.